The country’s top social security fund administrator has suggested making people work longer and receive their pensions later to offset a pension fund shortfall. However, the public and experts expressed mixed reaction toward the proposal. Dai Xianglong, chairman of the National Council for Social Security Fund and a former central bank governor, said the government should “modify the (current basic pension) system instead of passively putting aside more money” to offset a pension fund shortfall. He advised that improving the current pension system should include moving back the retirement age for some people from 60 to 63 years old and asking employees to pay pension premiums for 35 years instead of the current 30 years. Dai made the remarks in a keynote speech at a summit forum on economic development and boosting regional cooperation in Shanghai on Tuesday, local television reported. Experts estimated that China could face a pension fund shortfall of 18.3 trillion yuan ($2.9 trillion) by 2013 due to accelerated population aging, according to Chinese media reports. Zheng Bingwen, head of the Global Pension Fund Research Center at the Chinese Academy of Social Sciences, said on Wednesday that the pressure of pension shortfalls is growing because of the increasing life expectancy and shrinking workforce resulting from the family planning policy. “To ask people to retire later is more feasible than asking them to pay a higher rate of insurance or reducing the benefits,” he said. In addition, “many developed economies set the retirement age at 65, and postponing retirement age is also a global trend,” he said. Zi Liang, deputy director of a real estate development company in Beijing, said he dislikes the idea of raising the mandatory retirement age. “The Chinese workforce generally works longer hours and have less time for leisure than workers in many other countries. It’s cruel to prolong their working life,” the 32-year-old said. Wei Shaobiao, who works for an NGO dedicated to poverty alleviation in Beijing, urged the government to improve its investment of the pension funds to increase their valueDai’s proposal will only increase ordinary people’s burden and broaden social injustice, said Wei, 26.”Why do civil servants and employees of public institutions not have to pay contributions to get pensions while ordinary employees like us pay premiums and receive less than them after retirement?” he questioned. In China, the State funds the pensions for public servants and permanent staff members at public institutions. Zheng called the “double-track” system “unfair” and said that modifying pension programs without canceling the special treatment given employees of government departments and institutions will stir resistance from the public. There are 8 million civil servants and more than 30 million employees in public institutions, Zheng said, without identifying the source of the data. Lu Xuejing, a social security expert at Capital University of Economics and Business in Beijing, said the government should make up the pension fund shortfalls from fiscal revenue instead of reforming the pension system in a hurry. 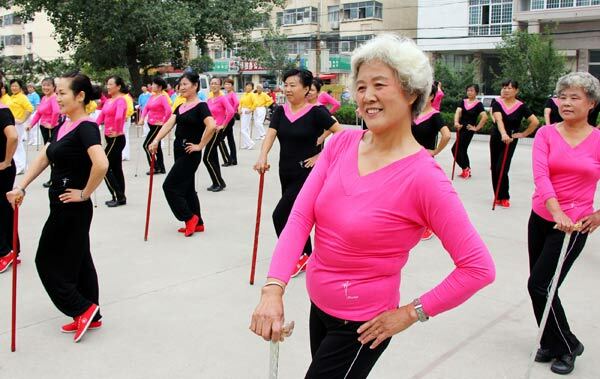 Lu said shortfalls in pension programs only emerged in some regions, such as Shanghai, where population aging is more serious than in other parts of the country. “Thanks to rapid economic growth, government’s revenues keep increasing. If the government can reduce unnecessary spending on official receptions, cars and business trips, we will have enough money to cover the fund shortfalls,” she said. “China set up the pension system less than two decades ago. At this stage, frequently amending policies would be unwise and make people lose confidence in the system”, she added. Contact the writer at hedan@chinadaily.com.cn. This entry was posted in Pension and Retirement reform and tagged pension reform. Bookmark the permalink.